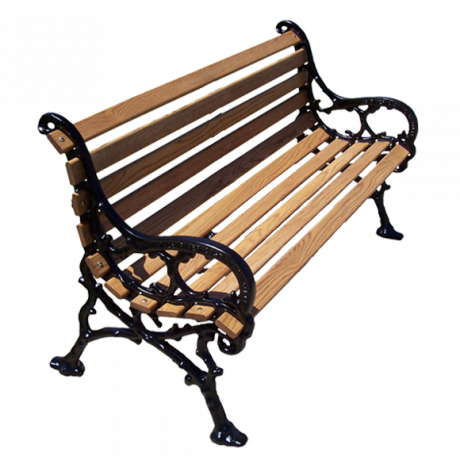 The old railway station style bench has Powder Coated Cast Aluminum Arms with Finished White Oak Wood Slats. Creating an elegant and picturesque seating area is easy with these durable wood slat benches! The seat is made from Oak and is attached to a powder coated cast aluminum frame, making this wood slat bench comfortable and strong! Developing an ambiance of the years gone by is exactly the reason for these vintage styles. There are three historic styles to fit your design. The feet have holes in order to bolt the park bench to its surface. White Oak Wood is the best of all Oaks. It is naturally strong, beautiful and radiates warmth. 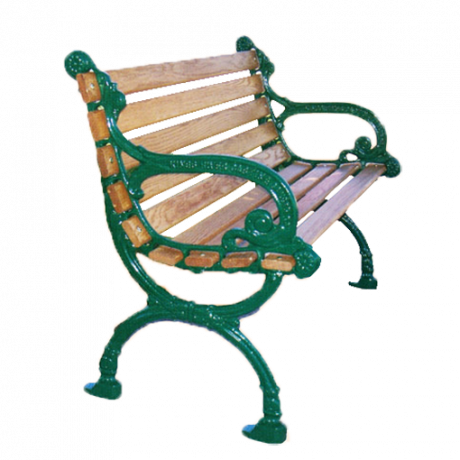 Pair that with protective coatings that shield against dry rot, warping, splintering, peeling, cracking, damaging UV rays and mildew, and you have a vintage park bench that is a force to be reckoned with! The bright and colorful powder coating on cast aluminum (a rust-proof metal) bench ends will make this wood slat park bench look brand new many years from now. These oak slat benches are all proudly made in the U.S.A! 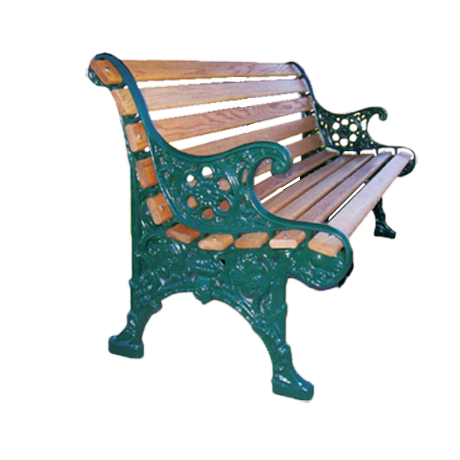 These park benches are also available with aluminum or recycled plastic slats. Call to request aluminum or recycled plastic slats. For more information, call us and let our knowledgeable sales staff help you choose the wood slat bench that is perfect for you!